AFTER DARK (2010) is an interactive video-installation controlled by portable videogame consoles. The work consists of a visual storytelling in video, based on the novel from Haruki Murakami, which is reinterpreted in a non linear way, so that the story turns into multiple possibilities. 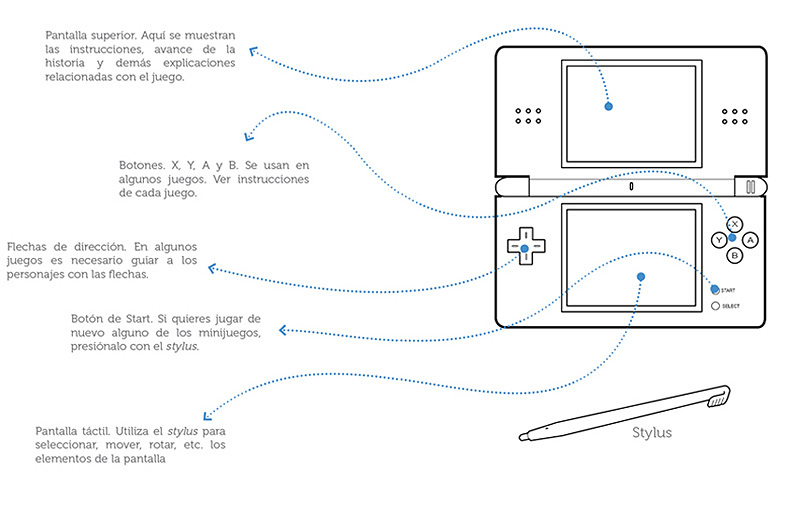 The user can interact with the installation through hacked Nintendos DS, and a game specially programmed for the project. The game contains 3D puzzle minigames and a text-game that has several options where a player can choose a character, what is she/he going to tell to other characters-players, and where to go in the stages of the story. The videogame consoles are connected online (wireless) with a computer, so that this last one processes all gamers' responses and stablishes which is the path the story is going to follow and also displays the corresponding video sequence. After Dark arises as a space for casual encounter. Frequently, the way social relationships are being modified by the domestic use of digital technology is reflected in the chance for users to represent themselves through data that may be very far from reality: user name, picture, avatar, etc. This information veils the physical, real presence of the individual, giving him/her the freedom of being anonymous. The interpersonal relationships developed by not direct comunication with others through digital devices is very different from those generated in real life. This installation picks this notion and in a ludic way invites random audience willing to get involved in a fictional situation by adopting a role, but generating an affective relationship with other people that the player will have to face in the concrete space once the game is over, dismantling the character and making him/her assume, even for only few seconds, the nature of the new built relationship. On the other hand, the appropriation capability of the electronic devices, specially the portable ones, is a relevant theme as a tool, everyday more accesible, for conforming a personal mixed reality, in which virtual and physical space are combined to generate new flows in social relationships and the significant encounter with others.